WELCOME TO THE DVGRR FAMILY! First, thank you for opening your heart and home to your new canine family member. Finding fantastic adoptive homes for dogs is at the very foundation of our mission. we now consider you part of the DVGRR family! We’re here to help you and your dog, and you’ll find a wealth of information throughout our site. We are also here to provide any ongoing support that you may need. To start, you will find a wealth of information on our site. Please review the Education section where you will find articles written by and on behalf of DVGRR as well as links to other resources. You will also be receiving a one-year complimentary subscription to our award-winning magazine,Golden Opportunities. Each issue is full of useful information. Also be certain to follow us on Facebook for the latest information. DVGRR also holds a number of events throughout the year, so plan to join us for even more Golden fun. As a nonprofit organization that receives no government funding, each of these events is an opportunity to raise much needed funds for dogs in need, like your new companion. Stay up to date on our events and fundraisers on our Events page. DVGRR relies solely on fundraising efforts and donations to provide care for the dogs. We receive NO government funding and the adoption fee NEVER covers the cost of the care provided for each dog. You can continue to provide critical support to help other dogs in need by becoming a DVGRR member. Memberships and recurring donations are vital to continue to provide the high level of care and rehabilitation that DVGRR is known for. Please join and donate! Our greatest need is recurring donations monthly. Just $15 a month will provide for 3 rabies vaccines for 3 dogs. Give more if you can. There are varying levels of membership support, and there are a number of benefits that accompany each one: All our Golden Retrievers, Labrador Retrievers, Goldendoodles, and Labradoodles say thank you! Boarding privileges for members’ Goldens, Labs, Doodles, and canine family members. We also now offer special Bedroom Boarding. The greatest benefit to membership is knowing that you are paying it forward and helping the next dog that arrives at Golden Gateway find a loving home like yours. At DVGRR, we understand the importance of pet health insurance as it helps pay the veterinary bills if your dog(s) becomes sick or injured. When you’re standing in your veterinarian’s office with a $3,000 estimate in your hand, having pet health insurance can mean the difference between getting your pets the care they deserve and seeking a less expensive (and usually less effective) option. 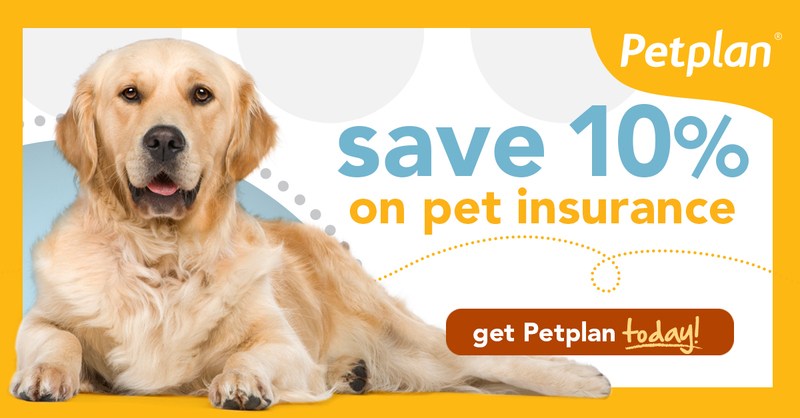 We’ve recently partnered with with Petplan pet insurance to secure health protection for every pet in their new homes. DVGRR supporters are eligible for a 5% online lifetime discount on a new policy, plus Pet Plan will donate $25.00 to DVGRR.